Ready to switch to 100% electric driving? 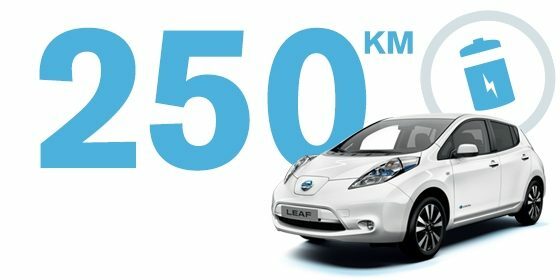 The Nissan LEAF is the perfect choice, and with the new 30kWh battery you’ll enjoy a range of up to 155 miles* between charges. The Nissan LEAF takes you to new horizons.In addition to a family-friendly 5-seat interior, advanced telematics and media connectivity, near silent driving experience and access to a growing network of rapid chargers, the Nissan LEAF is also covered by our You+Nissan EV customer promises that offer you class defining protection and reassurance, including an 8-Year or 100,000-mile battery warranty (whichever comes sooner).Register your interest now! *30kWh Battery available on Acenta and Tekna. 155 miles maximum range based on internal testing, under NEDC homologation process. Various factors can affect driving range including driving style, road conditions, outside temperature, air conditioning and other factors outside of our control.